With 243 different ways to line up winning symbols in basic gameplay and up to 3,125 possible combinations in the bonus games, Phoenix Riches is a fascinating pokie from Aristocrat that takes players to the peace and tranquillity of an Oriental garden, which may not make it a very original theme, but it’s certainly a popular one. Played out across 5 reels and between 3 and 5 rows, while this colourful game sticks to a well proven topic, it livens things up a bit by having a number of unusual features that should bring in some rich rewards. 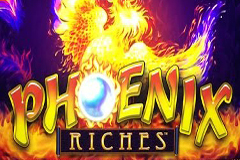 The Phoenix is a mythical bird that rises from the ashes, but players shouldn’t get their fingers burned at this game, as it comes from a trusted and reliable developer, who design all their pokies to have a fair return to player ratio and generous payouts when the symbols land in the perfect combinations. Phoenix Riches has an unusually plain background image for Aristocrat pokies, with none of the elaborate images that are usually there to give the game some extra visual appeal, but the action really takes place on the reels themselves, so we won’t dwell on that fact. The playing card symbols are used across the majority of the range from Aristocrat, so no one should be surprised to see them here again, paying out the lower wins when 3, 4 or 5 land in any positions on adjacent reels running from the left side. This format is called Reel Power and tends to make it easier to get a win, as the symbols don’t need to be across any particular line. It makes calculating the amount won a little trickier though, with payouts expressed as a multiple of the total bet per spin, divided by 30, apart from scatter wins that pay out several times the total stake per spin. Higher wins come from the unique picture symbols which include beautifully presented images of flowers, birds, koi fish and the Phoenix, with the golden lanterns being the most valuable icon of the lot. If this symbol stops on reels 1 and 2 only, players win 15x, while there’s payouts of 30x, 100x and 400x when it also appear on reels 3, 4 and 5 respectively. A pearl has been chosen as the wild symbol and although it only appears on reels 2, 3 and 4, it will act as any other standard symbol if it’s subsequently possible to make up a winning combination where there wasn’t one before. 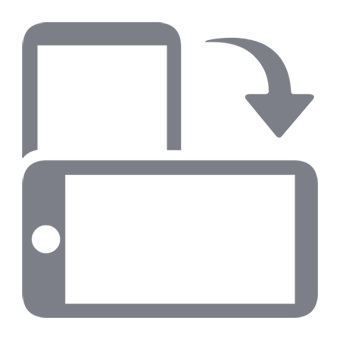 It can also turn a line of 3 symbols into a higher-paying line of 4, although it’s got no value on its own. The last symbols are the gold coin scatters, which come in 2 versions and 3, 4 or 5 of these are worth wins of 2x, 10x or 50x the bet respectively. The plain coin will also take players to the free spins round, where the action heats up with extra lines in play as the fiery coin is collected. Each time an example of the fiery coin scatter appears, it will be noted and should players land between 5 and 9 during the 10 free spins, reels expand to Xtra Reel Power format, with 1,024 winning lines across 4 rows instead of 3. Any more than 10 collected in the free games expands the reels even further, into Super Reel Power mode which sees 3,125 lines across 5 rows of symbols for multiple winning chances per spin. Each time the reels expand, 3 further spins are added to the total, which avoids the scenario of players seeing their 10th coin appearing on the very last spin. Pokies with an Oriental theme are very common and there must surely be a point at which players get bored of seeing very similar symbols on so many games, but it seems that we are nowhere near that point yet, as developers keep churning them out to great acclaim. So, ignoring that issue and looking at Phoenix Riches in isolation, we have a nice, colourful pokie that gives players plenty of chances for some wins in the base game and even more in the bonus rounds. The Xtra Power and Super Power reels have been seen on other pokies from Aristocrat, where they have proved to be very popular, so we can’t really blame them for bringing out a game that’s got a familiar theme along with tried and tested features.